Damian Trezise is responsible for the day-to-day operations of the group, encompassing commercial printing, custom publishing, events, and all newspaper and online publishing assets. Schooled in business management both here and overseas, Damian is a graduate of the Australian Institute of Company Directors and committed to preserving the family values of the McPherson Media Group and its dedication to the communities it serves. 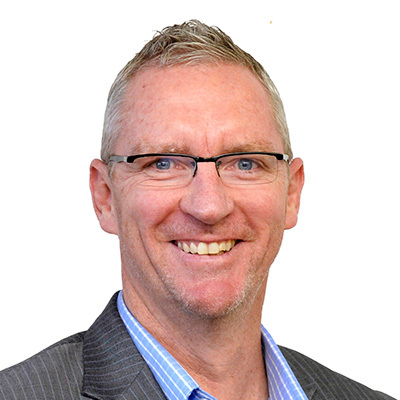 In addition to his duties as Managing Director, Damian has previously been a member of the CEO Institute and served on the Boards of the Goulburn Valley Community Fund and GOTAFE. He is currently the Chairman of the Victorian Country Press Association, a Director of Country Press Australia, a Director of Regional Dailies Victoria, a local member of Rotary, an inaugural and ongoing committee member of Shepparton’s Biggest Blokes Lunch and serves on the Board and Audit and Finance Committee of Goulburn Valley Grammar School.